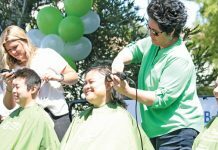 Editor’s note: The Crime Log is based on the most recent and detailed information provided by the Seal Beach and Los Alamitos Police Departments. 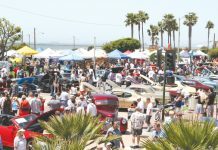 This week’s Seal Beach log is based on a detailed version of the log. Possible DUI (Priority 2)—11:01 a.m.—Seal Beach Boulevard—The caller said a man in a car parked in a stall appeared to be drunk. The caller said his car had traffic collision damage and a rag stuffed into the gas tank. The caller said the man was seen stumbling before getting into the car. According to the caller, the man had blood on him and speculated he might have been in a fight. Police units 106, 107 and M6 responded. Based on an outstanding San Diego warrant, police arrested Andrew Proglio on suspicion of being under the influence of a controlled substance. Incident response time: 4 minutes 43 seconds. Suspicious Person (Priority 2)—11:19 a.m.—13th Street (Old Town)—The caller said a man was on the caller’s patio. The caller knew the man’s name. The caller said the man stole a bike from the caller’s patio on Jan. 3. Police units M6 and S23 responded. The suspect was no longer there when police arrived. Police contacted the caller. No further law enforcement services were required. Incident response time: 8 minutes 48 seconds. Suspicious Occupied Car (Priority 2)—1:21 p.m.—Seal Beach Boulevard—The caller, a passerby, said a man and a woman were getting in and out of their car, which was in a parking lot, asking customers for money. The caller said they were making strange movements (the log did not provide details) and the caller thought they might be under the influence of something. Police unit 106 responded, with unit M6 available for back up. They were gone when police arrived. Incident response time: 6 minutes 52 seconds. DUI (Priority 2)—5:59 p.m.—Westminster Avenue and Seal Beach Boulevard—According to the log, a car going eastboud on Westminster hit the center divider. The caller used a cellphone to tell police that the driver had pulled over to the side of the road. As of 6:01 p.m., the caller pulled up behind the other motorist’s car. As of 6:02 p.m., the other car was moving eastbound on Wesminister Boulevard. As of 6:03 p.m., the other car had stopped again. The caller was no longer n the area. Police units 206, 207, 241 and S20 responded. As of 6:06 p.m., unit 241 had the driver in custody. Police arrested Tanya Mora on suspicion of driving under the influence of alcohol. Incident response time: 5 minutes 37 seconds. Defraud Innkeeper (Priority 2)—6:39 p.m.—Main Street (Old Town)—The caller said a man left the location on foot without paying for his purchase. The business address was blacked out in the log, so it is not known if the reporting person represented a retail or eating establishment. As of 6:42 p.m., the caller believed he was near the bank. Police units 206, 207 and S20 responded. Unit S20 was unable to locate the man near the bank. Unit 206 advised dispatch that the business only wanted to report the incident, they did not wish to prosecute. Incident response time: 9 minutes 6 seconds. Suspicious Occupied Car (Priority 2)—9:19 p.m.—Montecito Road—The caller said an individual was lying in the bed of a pick up truck that was in the middle of a garage. Police units 206 and 241 responded and determined that the individual checked out OK. Incident response time: 16 minutes 2 seconds. Suspicious Individuals (Priority 2)—3:11 a.m.—Marina Drive (Bridgeport)—The caller reported two men going eastbound on central. The caller said they were looking into cars. Police units 206, 241 and S20 responded. The two men were interviewed in the field. Incident response time: 4 minutes 49 seconds. Citizen Assist (Priority 3)—6:27 a.m.—Pacific Coast Highway and Main Street (Old Town)—A bus driver called to report that man on the bus was incoherent, crying, seemed to be confused and was possibly lost. As of 6:33 a.m., the man got off the bus and went into a nearby business. The caller didn’t know which business. As of 6:36 a.m., the bus had left the area. Police unit 107 responded, with unit 141 available for back up. Incident response time: 7 minutes 10 seconds. Grand Theft Report (Priority 3)—8:11 a.m.—First Street—The caller said that during the night someone took gas powered tools from the caller’s car. The value of the stolen property was blacked out in the log. Police unit 107 responded alone. Incident response time: 1 hour 5 minutes 47 seconds. 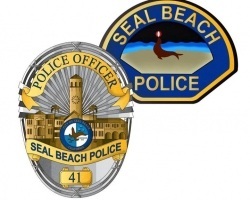 Traffic Stop (Priority 4)—2:05 p.m.—Seal Beach Boulevard—Police unit 106 stopped a car. Based on a warrant, police arrested Jason Lorrel Penalber on suspicion of driving without a license. Police also arrested him on suspicion of possession of a controlled substance and possession of illegal drug paraphernalia. Police units 141, 447, and S23 joined 106. As the call was officer-initiated, no response time was provided. Suspicious Car (Priority 3)—10:44 p.m.—Third Street—The caller said a truck had been making a beeping noise for the past few hours. The truck was gone when police unit 207 arrived. Incident response time: 16 minutes 18 seconds. Bicycle Stop (Priority 4)—1:38 a.m.—Pacific Coast Highway and Main Street—Police unit 241 stopped a bicyclist and interviewed the bicyclist in the filed. The unit was on-scene for 9 minutes 50 seconds. Person Down (Priority 1)—2:19 a.m.—Heather Street/Lampson Avenue—The caller reported a man passed out over the wheel of a pick-up truck. The truck was running. As of 2:25 a.m., police unit S20 was with the truck. As of 2:32 p.m., a field sobriety text was performed or being performed. As of 2:39 a.m., police unit S20 was transporting the driver to the gas station due to rain at Lampson Avenue. As of 3:09 a.m., police had arrested Dean Telasky on suspicion of driving under the influence of alcohol. Police units 206, 207 and 241 joined S20 in responding. Unit 206 made the arrest. Incident response time: 4 minutes 45 seconds. Petty Theft Report (Priority 3)—9:46 a.m.—Seal Beach Boulevard—The caller’s purse was taken at about 3:40 p.m., Saturday, Jan. 5. Loss: the purse, cash, car key and miscellaneous cards. Police unit 106 responded alone. Incident response time: 17 minutes 1 second. Possible DUI (Priority 2)—12:05 p.m.—Bolsa Avenue—Two different callers contacted the police about a woman driving in a parking lot at the location. According to one of the callers (the log did not make clear which caller), the woman was verbally abusive with an unspecified number of individuals at the location. As of 12:07 p.m., she got out of the car and challenged one of the callers to a fight. As of 12:08 p.m., she was pulling out of the parking lot on to Bolsa. Police contacted the car. One of the caller’s confirmed it was the correct car. As of 12:11 p.m., police determined that the driver was not driving under the influence of alcohol. According to the log, she was listening to loud music. Police unit 107 responded, with unit 141 available for back up. Incident response time: 2 minutes 24 seconds. Burglary Report (Priority 3)—1:45 p.m.—Edinger Avenue—The caller reported that someone had cut the cover of a boat in storage and pried the boat’s door open. Loss: electronics, a radio, and fishing equipment. Police units 107 and S19 responded. Incident response time: 10 minutes 31 seconds. Found Property (Priority 4)—5:22 p.m.—Pacific Coast Highway and Fifth Street—The caller saw a stroller on the sidewalk. The stroller had a blanket over it. The caller speculated that it belonged to a transient person. The caller saw it 15 minutes prior to calling the police while the caller was out on a walk. Police unit 207 responded alone, but was unable to locate the stroller. Incident response time: 1 hour 30 minutes 5 seconds. Fire Back Up (Priority 2)—8:54 a.m.—13th Street and Seal Way—A Christmas tree was burning on the sand off 13th Street and the boardwalk. Police unit 207 responded alone. No one was seen around the burning Christmas tree. Incident response time: 5 minutes 58 seconds. Disturbance (Priority 2)—10:05 p.m.—Main Street—The caller said a man was refusing to leave the location who had been asked to leave earlier in the day. According the caller, the man started a fight at 4 p.m., and was advised against returning to the business. The caller speculated that he might be on drugs. Police units 206 and 207 responded. The man in question was interviewed in the field. Incident response time: 4 minutes 44 seconds. Disturbance (Priority 2)—6:26 a.m.—Pacific Coast Highway—A man with a large shopping cart was inside a restaurant, refusing to leave. Police units 107 and 141 responded. Police arrested Rob Simmons on suspicion of willfully resisting, delaying, or obstructs a peace officer. Incident response time: 10 minutes 45 seconds. Disturbance (Priority 2)—8:06 a.m.—Pacific Coast Highway—The caller said a transient woman was bothering customers at the location, both inside and outside. As of 8:09 a.m., she was still in the parking lot. Police unit responded, with unit 141 available for back up. Unit 107 contacted the woman and determined no crime had occurred. The woman was sent on her way. Incident response time: 2 minutes 14 seconds. Petty Theft Report (Priority 3)—3:22 p.m.—Seal Beach Bouelvard—The caller’s wallet was taken the previous day, Sunday, Jan. 6. Loss: credit cards. Police unit 106 took a report. Incident response time 28 minutes 51 seconds. Lost or Stolen Plate (Priority 3)—6:15 p.m.—Third Street—An individual came into police headquarters to report the apparent theft of one of the license plates off the individual’s car. The individual received a ticket for not having the plate on Dec. 5, 2018, so the theft apparently occurred sometime before then. Police unit 207 took a report. Incident response time: 24 minutes 5 seconds. Pedestrian Check (Priority 3)—1:27 a.m.—Main Street—The caller reported a man sleeping in front of the location. Police units 206 and S44 responded. Based on a warrant, police cited Carey Adam Hawkins on suspicion of illegal dumping and released him in the field. Possible Burglary—6:29 a.m., Cerritos Aveneue—Police found a pair of red bolt cutters in between file boxes found lying around storage units that had apparently been burglarized, the reporting party said. Police were asking all of the owners of nearby units to determine what, if anything, had been taken and they sent the evidence to the crime lab for inspection. Suspicious Noise—6:01 p.m.—Green Avenue—A neighbor reported a loud banging problem, which neighbor said occurs because occupants “like to drink.” Small children were thought to live inside the unit but reporting party could not hear them. According to the report, husband was knocking down objects after being accused of drinking too much and causing the noises. Though loud, both parties said there was no physical altercations and police found no signs of injuries. The children also indicated there was no physical abuse. Supsicious Person or Circumstances—1:47 a.m.—Chestnut Street—Police were called after a woman’s alleged former boyfriend parked in a “rear alley” near her home and said he was merely dropping off the car and wanted the woman to give him a ride home. The woman said she did not feel safe coming outside and the man was asked by police to take a ride-share home and not come back. Missing Adult—10:21 p.m.—Saltair Drive—A frantic family notified police after the reporting party’s mother-in-law went missing for more than 90 minutes. She had apparently never done that before. Police were told that the woman spoke only Mandarin Chinese, was deaf and was suffering from Alzheimer’s disease. After a search, police learned a good Samaritan had found the woman on the sidewalk and brought her safely inside Katella Deli. She was reunited with her family. 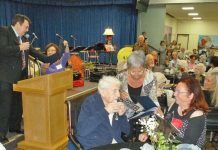 David N. Young of the Event-News Enterprise contributed to this article.